If you’re ever captured by a villain who’s going to punish you by tossing you into a thorny desert plant of your choosing, pick the crucifixion thorn (canotia). Despite the fearsome name, the thorns aren’t too sharp and are dense enough that they will likely break your fall more than break your bones. 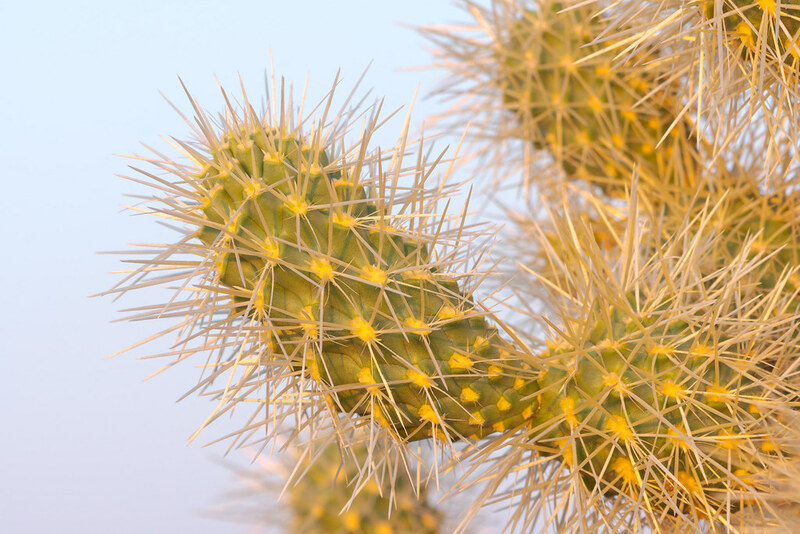 Do not choose the adorably-named teddy bear cholla, its spines are sharp, its spines are many, and the joints break easily so you will carry your pain with you after you escape its embrace. It does however make a lovely subject in the early morning light. This entry was posted in Plants and tagged Arizona, Brown's Ranch, cactus, Chuckwagon Trail, desert, McDowell Sonoran Preserve, Scottsdale, Sonoran Desert, teddy bear cholla. Bookmark the permalink.